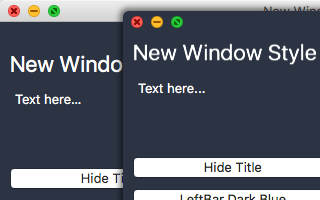 The New Window Style component for Xojo Desktop development platform is a class for customizing the windows of Xojo projects for macOS. The class allows to transform the "old" classical view into the new style adopted by the most common applications for macOS. 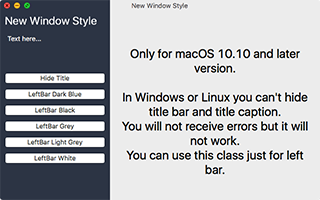 The class allows different functions including: hide the title bar; display or hide the title caption; color a sidebar to create a menu of commands; etc. Is available a trial version to test all Xojo New Window Style features.